Reusable, magnetic nanoparticles can remove crude oil from water. A boat wades through the oily waters of the Gulf of Mexico. When 4.9 million barrels of crude oil spewed into the Gulf of Mexico following the April 2010 Deepwater Horizon oil rig disaster, cleanup crews rushed to deploy floating barriers to contain crude oil collecting on the water's surface. However, this did nothing for the oil that never reached the top. Radiations is crammed full of science. About a month ago, the Lawrence Livermore lab posted this gorgeous old poster of the electromagnetic spectrum onto its Flickr page. 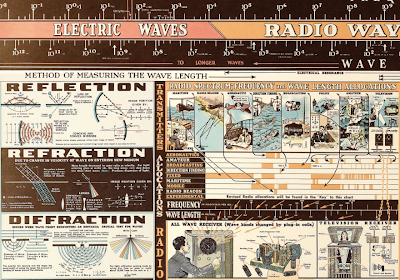 It's an amazing artifact of scientific education from 1944, complete with images of retro radio equipment, hospital radium rays and one of the first commercially available television set. Putting together a chart like this can be as much of an undertaking as publishing a book. It's an under-appreciated art form, and sometimes takes a coordinated team of editors, designers and consultants years to produce a final product. The driving force behind its creation in the late 1930s was Dwight Barr, a consultant for the W. M. Welch Scientific Company. He spent two years of his life designing and editing it, with the project at times taking over part of his house. Once published, nearly every major university and scientific institution bought a copy. This week on the podcast, we talk to Professor of Applied Mathematics Rainer Hollerbach, about how he and his colleagues at Leeds University think they have a solution for the Mystery of the Moving Magnetic Field. What's the Mystery of the Moving Magnetic Field, you ask? Well, the earth's magnetic field is drifting westward, and no one knows why. It's a mystery! The movement does not take place everywhere on earth, but is concentrated near the equator. People first noticed this westward drift in the 18th century; it really threw a wrench in the use of magnetism for navigation because after a few decades, maps of the magnetic field were no longer accurate. In the 20th century scientists discovered that the earth's magnetic field comes from the liquid outer core, which explains why the motion can occur in one place and not in others; however, scientists still don't know what's driving the motion. Listen to the podcast to hear how the inner-most layers of our planet may explain this magnetic mystery. Physics engines may form the backbone of many video games, but very rarely does physics take center stage in a game's plot. In my experience, most educational games that aim to teach physics lack the immersion and fun factor to retain a player's attention for extended periods of time. Particulars is not one of those games. It's simple, fun, and addicting. 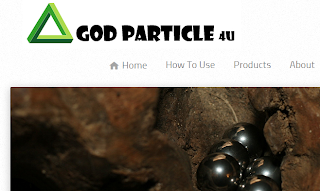 Along the way, you'll even learn quite a bit of particle physics. Best yet, there's a free demo available now. The independent game studio behind Particulars, SeeThrough Studios, plans to release a finished version of Particulars in early 2014, and you can catch a glimpse of its gameplay in the video below. 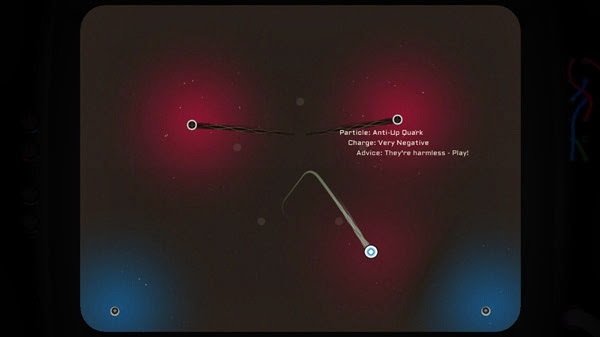 Particulars throws you into the subatomic world, granting you control of a lonely down quark. Soon, however, you'll encounter a number of subatomic friends and enemies: anti-down quarks, up quarks, and eventually larger particles like neutrons. 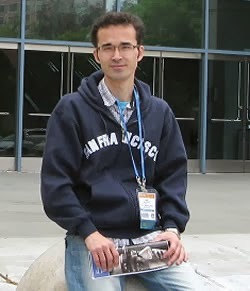 Omid Kokabee, now imprisoned in Iran. Omid Kokabee, a University of Texas, Austin, graduate student who has been imprisoned in Iran for more than two years, received APS's Andrei Sakharov human rights prize for refusing to collaborate on the country's nuclear program. In May, an Iranian court sentenced him to ten years in prison for "communicating with a hostile government" and receiving "illegal earnings." The so-called "illegal earnings" were the student loans he received while in Texas. Kokabee, who is an Iranian citizen, was arrested in January of 2011 when he traveled to Tehran to visit family over his winter break. While waiting for his flight to return to the United States, he was pulled aside by the security forces at Khomeini Airport. They brought him to Tehran's notorious Evin prison, where numerous political prisoners are held. The Iranian authorities kept him in solitary confinement for 36 days, before allowing family members to visit. Twice, court appearances were canceled at the last minute for no reason until finally, fifteen months after his arrest he had his brief time in front of a judge. Every physics student has heard the story about how some prominent thinkers at the end of the 19th century were convinced that we had discovered all there was to know about physics. Only a few years later, all those physics pessimists were proven to be utterly, completely, unbelievably wrong as blossoming quantum mechanics and relativity theories combined to make up Modern Physics. Over the next century, lasers, transistors, GPS, MRI machines, PCs, cell phones, fission bombs, fusion bombs and countless other wonders were the direct result of this whole new branch of physics. In the years since, the tale of the rise of modern physics has helped to squelch most murmurings that maybe, just maybe, we're getting to the point of knowing it all. The most concise summary of the argument I know of is a quote by Arthur C. Clarke. Up until now, that's been good enough for me. Then, yesterday, I happened to read a fascinating post about futurism (check it out, it's worth your time) by Tom Murphy on his blog Do the Math. Although this wasn't the main point of his piece, something he wrote convinced me that we're back to the point where it looks like there's nothing to do but add decimal places to the fundamental constants, at least as far as physics that makes a concrete difference in our lives is concerned. (ISNS) -- A team of French researchers has shed light on an important moment of astronomical history by testing the old lenses used by astronomer Jean-Dominique Cassini when he observed a minuscule gap between two of Saturn's rings in 1675. Questions have lingered over whether it was possible to see this gap, which was later named the "Cassini Division," with the optics he had at his disposal. "I don't think I've ever been able to see the Cassini Division clearly with my own backyard telescope," said Laird Close, an astronomer at the University of Arizona's Steward Observatory. The 3000-mile wide gap "is not a trivial thing to see." At its closest, Saturn is nearly 750 million miles from Earth. At this distance, the Cassini Division has an angular size of 0.65 seconds of arc, or about 3,000 times smaller than the moon, which spans about half a degree of visual angle. The Planet Saturn with rings fairly open. This week's podcast brings you our coverage of the annual Ig Nobel Prizes for the year's wackiest science. Presented last week, the awards honor research that "Makes you laugh, then makes you think." The research highlighted is by its nature zany, and the presentation ceremony itself is just as bananas. Deborah Henson-Conant's electric harp warms up the audience before the show. There is a lot going on in science this week. The Costa Concordia is being salvaged, this guy set his string theory dissertation to the tune of Bohemian Rhapsody and they found dinosaur feathers. But by far the most exciting thing to happen in science this week is the debut of Bill Nye the Science Guy on Season 17 of Dancing with the Stars. 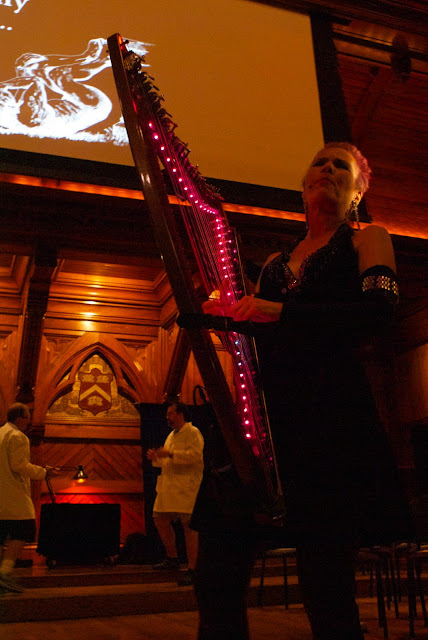 Last night Bill and pro partner, Tyne Stecklein, performed a Cha-Cha to Weird Science (of course, I mean, really, is there any other song that geeks are allowed to dance to?) and the world got to see a different side of this number one geek. Navigating with the Stars: Dung Beetles and Whales? For thousands of years, humans have looked to the stars for guidance on their long journeys. But humans aren't alone in their reliance on the heavens. Research released earlier this year suggested that dung beetles also look to the night sky for navigation — albeit not quite in the same way we do. Last week, the authors of the dung beetle research earned an Ig Nobel (an award with the tagline "For achievements that first make people laugh then make them think). Also last week, astronomer Michael J. West from the Maria Mitchell Observatory published an article on the arxiv raising the idea that whales use the stars to navigate across vast migratory distances. Although the article errs on the side of speculation (it's not intended to be a peer-reviewed research article), West's piece raises some interesting questions about how some mammals adapt to both their immediate and celestial surroundings. 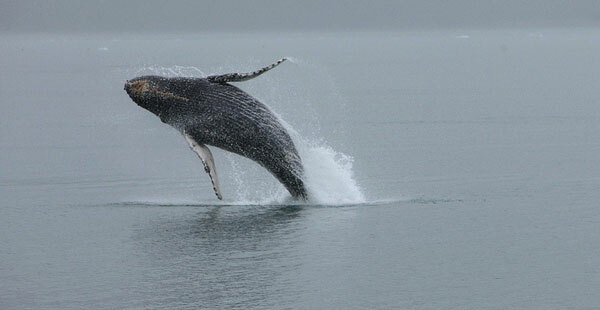 One astronomer speculates that humpback whales may use the stars to guide them during migrations. This week on the podcast I talk to Sunny Jung, a physicist in the Department of Engineering Science and Math at Virginia Tech. Jung's area of expertise is fluid dynamics: the study of liquids and other materials that flow. Jung is especially interested in the many wondrous ways fluid dynamics intersects with the lives of humans and animals (such as how cats lap up milk). His most recent work investigates a favorite pass-time of young children: clapping wet hands together. 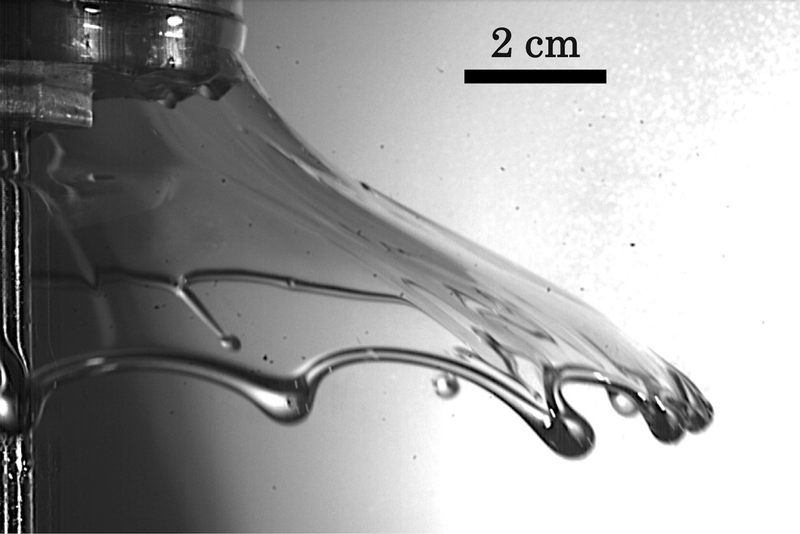 Listen to the podcast and learn how to maximize the radius of the fluid and number of drops in your own hand-clapping experiments; plus, I talk with Jung about potential applications for this new research. New Movie "Gravity": Will it Get the Science Right? For decades, science fiction directors have struggled to balance science realism and plausibility with enough drama to engage their audience. Physical impossibilities, such as sound propagating through air-less space, often crop up in sci-fi blockbusters (like the "pew-pew" laser sounds in Star Wars). 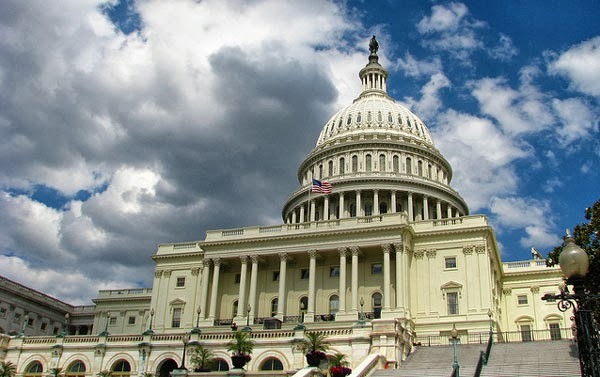 When the stock market collapses, a country erupts in rebellion, an electric grid blacks out or a child throws a tantrum in a crowded supermarket, the people nominally in charge of the systems often try harder to rein things in. But a new paper in Physical Review Letters shows that too much control is often at the heart of a major breakdown. It's not an entirely new idea. 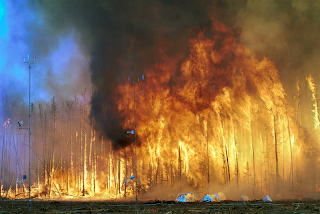 Many people have noted that major wildfires are more devastating in areas where small fires are vigorously suppressed. But it wasn't necessarily clear just how much you should let small fires burn to ensure that the total damage caused by lots of little fires is less than that caused by one huge, occasional firestorm. Similar questions exist for just about any system that can experience avalanche-like breakdowns. Now, Pierre-Andre Noel, Charles D. Brummitt and Raissa M. D’Souza of the University of California, Davis have developed a model that could clarify just how much control you should relinquish over small traumas in order to avoid a major collapse. (ISNS) -- IPhil Flanagan has coached tennis for over 30 years, but some of today's top players do something he's never taught. Players slide on hard courts, which are made by covering an already hard surface such as concrete with a gritty mixture of paint and sand. If that sounds a bit like sliding on sandpaper, it's not too far off. "I find it to be one of the most amazing things I've ever seen on a tennis court," said Flanagan, who coaches in southern Florida. Research into the factors that allow players to slide on both hard courts and clay courts has revealed surprising details about the technique, and may eventually help develop surfaces and shoes that can better accommodate sliding. Despite the possible benefit of increasing a player's ability to recover for an upcoming shot, some coaches and doctors consider sliding potentially dangerous. In the age of GPS and Google Earth, it often feels as though every corner of our home planet has been mapped. At the very least, you think a satellite or two might notice a 450-mile-long canyon—twice the length of the Grand Canyon—poking out the northern end of Greenland. Last week scientists at the University of Bristol in the UK announced the discovery of this so-called "mega-canyon," which remained hidden from human eyes because it's underneath a 2-mile-thick slab of ice. The majority of Greenland's surface is covered by glaciers and ice sheets, which makes this semi-autonomous island of great interest to scientists studying climate change. The Bristol team set out to map the topology of Greenland's ice sheet and the bedrock underneath it, with the goal of monitoring the ice thickness as global temperatures continue to rise. Over the span of a few weeks they began to notice a long, continuous land feature underneath the ice. This week on the podcast, I talk to Jonathan Bamber, the lead author on the paper announcing the discovery of the canyon. The discovery of the mega-canyon was made possible with radar: a simple technique that bounces radio waves off of solid objects and surfaces. By measuring how long it takes the radio wave to bounce off an object and return to the source, it's possible to determine the speed of the object or it's distance. Ice is highly transparent to radio waves, making radar an ideal instrument to measure ice thickness (although, as the lead author on the new paper explains in the podcast, making sense of the radar data is still difficult). Listen to this week's podcast to hear more about what role this mega-canyon plays in the life of Greenland's ice sheet. You can also check out this NASA video about the discovery, with some nice graphics.